My son Owen turned 3 a few weeks ago. What’s fun about a kid that age is that he doesn’t know how to lie. At some point, kids learn how to lie and deceive, if it’ll keep ‘em out of trouble. But at this point, Owen just tells it like it is. We could use that in the studio, too. Imagine if instead of pretending to like the mix you just did, you allowed yourself to rip it to shreds? Sound like fun? Of course not. But ignorance ain’t bliss, amigo. Do you think those poor souls who make it all the way to the judges on American Idol, only to be told they are horrible singers, are feeling bliss at that moment? Somebody should’ve been honest with them a looooong time ago. Don’t walk on eggshells around yourself. Tell yourself the truth, even if you don’t want to hear it. 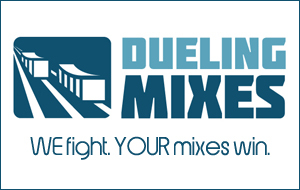 Your mixes (heck, even your life in general) will be better because of it. Let’s grow up and be more like 3-year-olds.